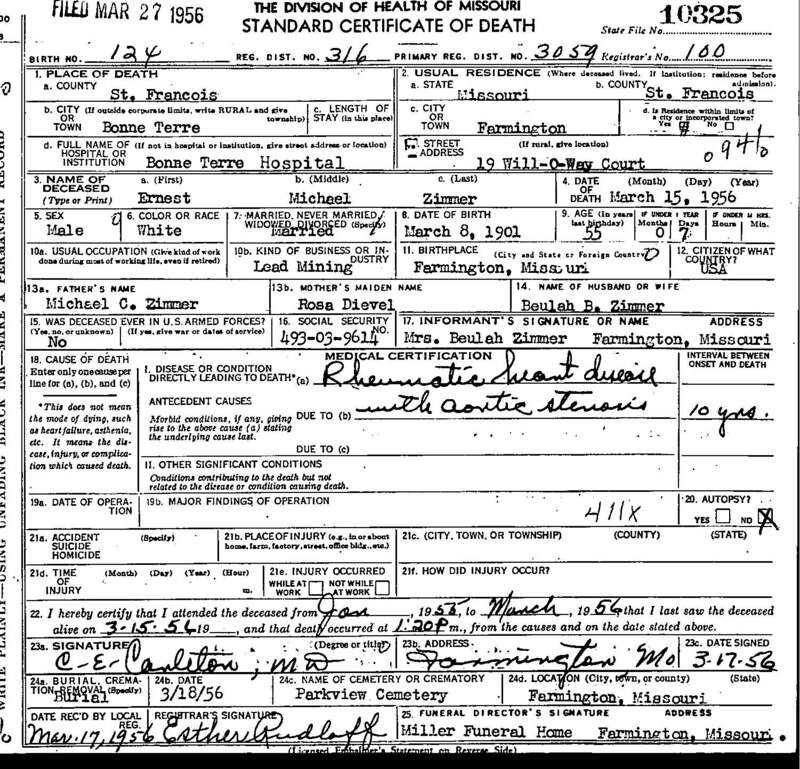 "Death Record - Ernest Michael Zimmer"
Cause of death: Rheumatic heart disease. Death location: Bonne Terre Hospital, Bonne Terre, St. Francois County, Missouri. Burial location: Parkview Cemetery, Farmington, St. Francois County, Missouri.